Saturation is a very special type of smooth distortion known from tubes and tapes. 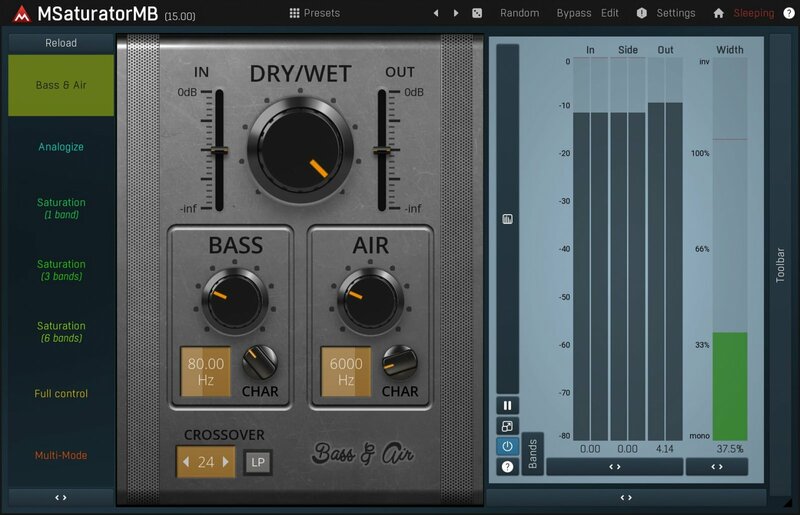 It can provide some harmonic flavor, improve bass and subbass content and much more. 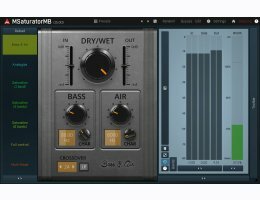 MMultiBandSaturator is an extremely musical and versatile saturation plugin, which also contains a digital harmonic generator. MMultiBandSaturator combines the best from both analog and digital worlds. Broadband saturation may sound good on rock guitars, but sometimes you just need some flavor to your clean tracks. That's exactly what you can expect from our beautiful sounding saturator, and the multiband design plays a big role in it's amazing audio quality. While an analog-type saturator naturally creates the whole harmonic spectrum, the digital harmonic generator can also create distinct harmonics for you. You can use it to enrich the signal even more or with specific intent. Make subbass content audible on a cheap speakers for instance.